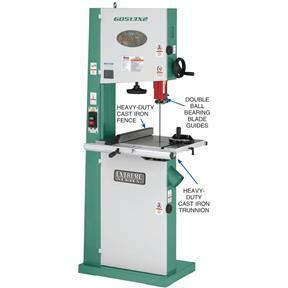 Grizzly is proud to offer this full-featured Extreme 17" Heavy-duty Bandsaw with cast iron wheels. The 2 HP motor powers through wood with a maximum cutting capacity of 12-1/8" height and a 16-1/4" throat is plenty for most applications. 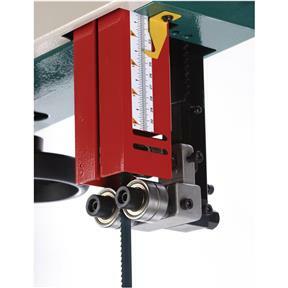 Features like the deluxe fence, extra wide cast-iron table, heavy-duty miter gauge, dual 4" dust ports, micro-adjusting geared table, and double ball-bearing blade guides are usually found on machines costing much more. And, the ISO 9001 factory designation assures high quality standards. CSA certified meeting CSA C22.2 #71.2-10 and UL 987-8 standards! Floor to table height: 37-1/2"
Approximate shipping weight: 418 lbs. Just got this put together and man want a beast. This is a great machine so far, haven't used it much but look forward to using it tons. Also if you order anything from Grizzy ask for freight shipping using SAIA shipping they are great to work with. I should've bought this long ago. One of the most widely used tools in my shop dont know how I functioned without it. I bought this saw about a month ago now. Solid purchase. Only required a couple very minor tweaks, otherwise was dead on right out of the crate. I was hesitant to spend that much money, but I'm glad I did it has performed flawlessly. I bought this in Oct. 2018 and have used it some but intend to get more out of it at a later date, still setting up my shop! So far I love this bandsaw, it effortlessly cuts through hardwoods, etc. Love it! This is a great saw. I have used it a lot since I bought it a month or so ago. 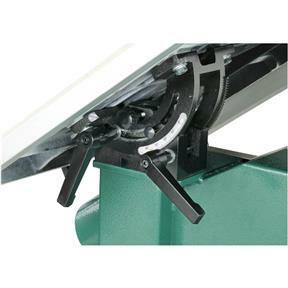 Works well and is easy to change blades and maintain. love the bandsaw...easy to set up and use. Power! This is my first large band saw and Im very happy with the purchase. 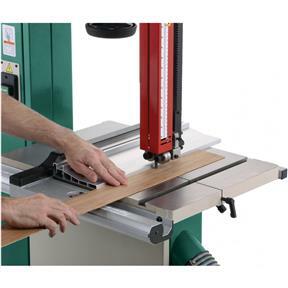 I have re-sawed a lot of wood and it works perfectly, I would recommend this product. I received the band saw just before Christmas. I set up the machine and began using it right away. Great product and great quality. got saw in December . easy assembly,easy setup,easy operation. big and powerful. great manual. t28000 base is also really great purchase. Have only used this saw a few times but it is awesome! Resawed a piece if wood less than a 16th of an inch! Love it! I just set the saw up today, but so far I am very pleased. The saw arrived as scheduled, and was packed well with no damage at all. The saw is heavy (as expected), which took some effort to get in place, but set up was relatively easy. The saw was useable as factory set, but taking an extra 60 - 90 minutes to fine tune the set up is time well spent. Setting the guides is a little touchy, and when I changed the blade the set up process needed to be repeated, but it was not too difficult, and was expected. Based on my limited use, I am very pleased with this saw, and feel it is a geat tool for the price. Glad I went for the extreme edition. Real beafy and worth the slight extra cost. Im a custom cabinet builder and for years I have needed a bandsaw and finally bought this one from Grizzly. The product was packaged and crated very well. There was not a single scratch or blemish on the saw when I unpacked it. The saw went together well without any issues. It took me a while to get the blade set correctly but once I got it set and started cutting it cuts extremely smooth and quiet. I have been very impressed so far without any negative issues and Im planning on buying more equipment soon from Grizzly. Brought this Bandsaw that had a small defect in the paint on the table edge, that Grizzly promptly sent touch up paint for that was no problem to fix. I dis a complete setup on the machine checking all of the alinements. most were perfect as set by the factory. After installing the table iI ran a run on a piece of wood and found sone run out. i loosened the table and brought it back into alinement with no runout. The saw works perfectly. I wavered on the G0513X2 and the G0817, but finally decided on the G0513x2 17" saw and I have no regrets. I only wish that I would have done it sooner. 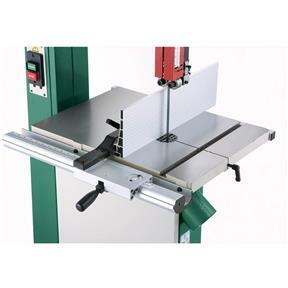 I looked at so many bandsaws that I have lost track of the true number and names. I wanted a saw that would last me well into the future and from what I have seen so far, this is it. I do not think you will be disappointed no matter what your plans are. I turn bowls and wanted something that could cut all sizes of blanks as well as re-saw if needed and I have found it with this saw. I completely recommend this saw. i love this saw. So glad I sold my old one and got this Grizzly. Smooth and quiet running, powerful and fast. Has made my shop time easier and more pleasant. I bought this several weeks ago as my old bandsaw as my old one wasnt tracking right and didnt have enough power. I looked into the Jet bandsaw, but their prices went up and the models I could afford were too small. Rikon was not even an option I have not heard anything good about them. Their quality is inferior. I chose this model from Grizzly because it has the qualities I was looking for. It has 2hp motor, cast iron table, cast iron wheels, and dust collection. It works just great - I have been able to cut through thick hard wood without it slowing down at all. It is smooth, quiet and accurate. I can also release the tension on the blade with the swing of a lever to take the pressure off the bearings and such when I am not using it. 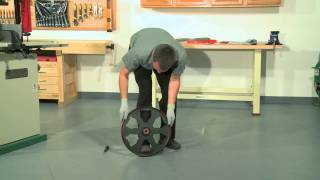 It is a great saw that I would recommend to any serious woodworker. I finally got the G0513X2! As per several other reviews, the freight company is less than useless. UPS contracts with a second partner, so I don't think it's Grizzly's fault. They are generally no shows for delivery appointments for residential deliveries, and reschedule several times at their leisure. So, I call UPS and go pick it up from their warehouse when it gets in. It was an hour drive one way, but that was better than waiting a week for Mobile Air to get around to doing their job. I got it down into my basement shop with the help of my youngest son . . . that was fun . . . and got it all set up and running well. Everything seems fine, but I do have an issue. The blade guides are a MAJOR pain in the neck to adjust. I have a standard feeler gauge and there's no way to use it for either the upper or lower thrust bearing . . . can't fit it around the all the bracing and other paraphernalia surrounding them. So much for accuracy. The smaller G0457 (which I had, and returned, but that's another story) has adjustment knobs for the upper and lower thrust bearings and guide bearings . . . that was nice . . . why they removed that on the 513X2 I'll never know. WAY too much slop in the shafts when tightening down the allen set screws. The shafts for the thrust bearings flop around and makes it very difficult to get it set right. The lower guide bearings have their own set of issues, but the main problem is that the set screw for the inner guide bearing is positioned in a place practically inaccessible to the allen wrench. What were they thinking?? I change blades relatively often and this is going to be a real pain in the neck. The saw itself is solid as a rock and powerful. Does the job. Maybe a visit to Carter is the answer for me. Overall . . Great Bandsaw! Truly a beast, and more than capable of doing all that I need. Grizzly customer service and tech support is top shelf in my experience. Maybe I just need to get used to the bearing adjustment process, but it seems really awkward and I'll probably spend a couple hundred more and replace both upper and lower bearings with Carter guide sets. Wish I could give it 5 stars, but the bearings slow me down. I bought this saw about 3 weeks ago and I am very pleased with the performance. Runs smooth and has great re saw capacity. Came undamaged and in great condition. I'm a return customer on Grizzly equipment. 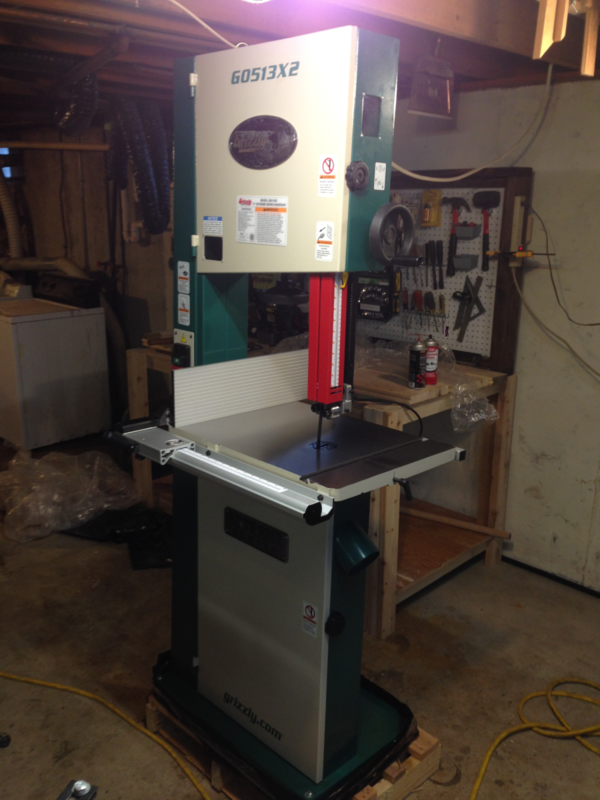 I also own a cabinet saw and wood lathe purchased through Grizzly. I'm not just pleased, but very pleased with the equipment and the awesome customer service I have gotten from Grizzly. I will be back for more equipment when need be. I'm totally satisfied!!! I got this about 6 months ago, bought 3 different sized blades for it and it has worked well for everything that I have done on it. (warning: those 1 inch resaw blades snap like a bear trap when you uncoil them.) I love all the Grizzly machines that I have gotten. This was my 5th. Very nice machine, runs real smooth and quiet. Does an excellent job re sawing. Arrived with no damage or scratches. I am very pleased with this bandsaw. This saw combined with a good blade is cutting up to 12" thick logs for bowl blanks like a hot knife thru butter! VERY glad I bought it. Cut thru my hardest material - dry eucalyptus and black acacia - with ease. The saw is everything it was advertised to be. Good quality workmanship. Grizzly has done it right choosing a good sub-contractor to build there product in Taiwan. The dolly they advertise for the saw is not worth spending your money on. It is not designed for the bandsaw and has to be modified to work..
Its been about a month. Cant say enough goodness about this bandsaw. Grizzly is really building some of the best machines. 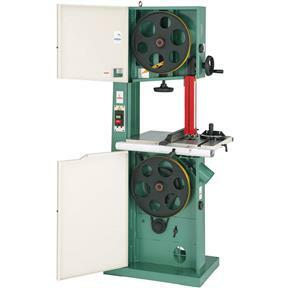 This is a really nice bandsaw. Well worth the money. M going to have a lot of fun with it in making projects. Delivery service was excellent too. Exactly what I was looking for with a fair price. Cuts true and has plenty of power. It did arrive with a broken shipping box but I didnt see any clear damage. Once I started assembly I noticed the top door is bent in. Almost looks like it was made that way until you open the door; however, it doesnt effect operation and is barely noticeable, so it doesnt bother. In my opinion, you cant go wrong with this machine. Easy to wire up and start cutting. This machine is everything as advertised. I am very pleased with the accuracy of the machine and how easy it was to set up. Saw works great and set up was very easy. Minimal adjustments were required for fence and table and were well documented in manual. The only improvement recommendation I have is to replace the bearing guide hex head screws with thumb screws. This would make resetting bearing guides easier when changing blades. It's really nice when you finally get to the point where you are able to get QUALITY tools. This saw replaced a bandsaw I purchased used from a pawn shop. Oh my, what a difference! This unit has surpassed my expectations. It is truly a pleasure to use. Blade tensioning lever, and tension gauge are nice additions. The fence is superb. I purchased a mobile base for this when I ordered it. The only issue I found was the bolts that hold the mobile base together will prevent you from opening the bottom panel to change blades. I changed out the bolts and it now works fine. This is my first bandsaw and i dont know how i have survived all these years without one. 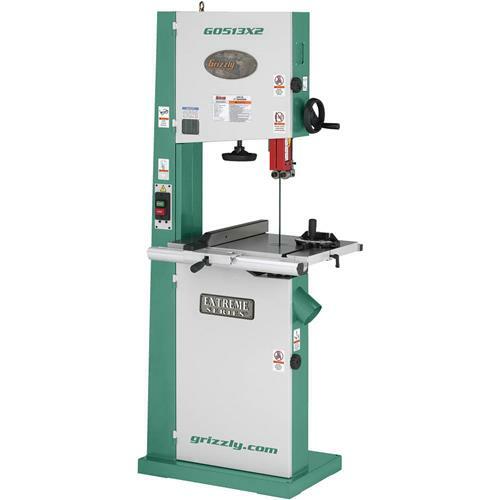 This is a great machine, just like all my grizzly tools, i have never been disappointed with any of the tools i have bought from grizzly, and its hard to find this quality for this price. A time saver. Ive wanted a bandsaw for a long time and glad I got this one. It does a great job milking up I ring blanks. Nice size table too. Just make sure you order a different blade with it. I did but I also tried blade that comes with and its a throw away blade. Had some minor issues. The Shopfox trolleyneeded a replacement corner immediately and the red painted guard that desends around the upper blade guide rubs the upper blade wheel. 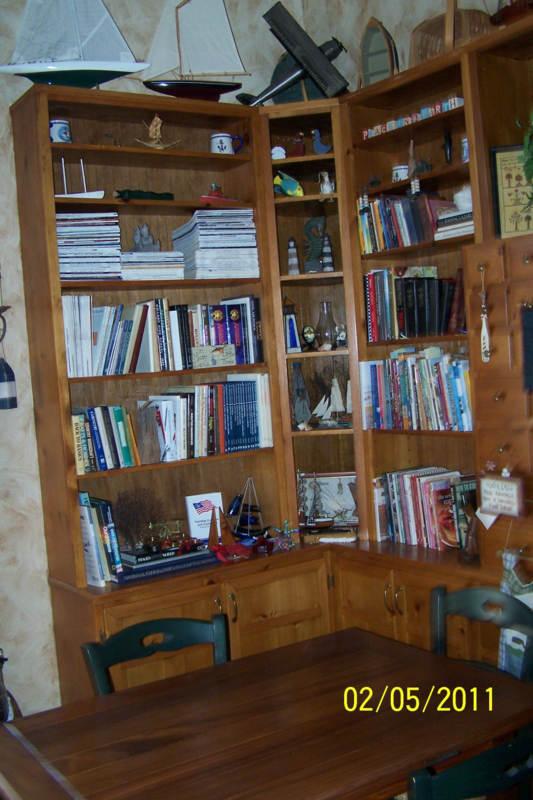 I have just retired from 46 years In residential construction and during that time I did a lot of wood working projects. My last 8 years were spent working in the mid east doing building maintenance for the military. I am in the process of building a nice wood working shop and much of the tools I will be adding to my inventory will be of the Grizzly line. If my new band saw is an example of what Grizzly tools are like I am sure I will be satisfied. I have attached a few pictures of some projects I have done. This bandsaw has performed exactly as advertised. Excellent re-saw capability with enough hp to re-saw red oak, pecan, and cherry. Easy set up with minimal adjustments needed. I have not noticed the imbalance that others have. The only flaw I can find is on me in not purchasing the mobile base. I actually wanted a 19" but compromised with this one, and I don't regret it. It's very stable, and I am really glad I got the cast iron trunions and stronger motor. It cuts really well, clean and straight. Dust collection is quite good, and I've used it on several projects now. I have an old 14" bandsaw with a 1/4" blade that I was originally intending to replace with this, but I have since decided that I want to leave this one set up for larger work, and keep the smaller unit for smaller and curvier pieces. This my first band saw. I could have sworn I heard music playing as I unpacked the unit. Adjusting the bottom blade follower is a bit tricky, but do able. Great saw. Well designed, well made, well thought out in all respects. I can not find anything wrong with this band saw. However, if I had it to go over again, I would definitely purchase the model with a foot brake.. It's not often needed but when it is needed, you gonna wait a long time for this saw to stop. Put a 1/2" woodslicer on it. Cut incredibly thin pine veneer. Smooth, easy cuts in 8 x 8 pine beam. I have had my G0513X2 for about a month and am completely satisfied with this bandsaw. I am a wood turner and need the extra table capacity and power to cut large blanks for turning. This machine does it all. Great quality and attention to detail. My only suggestion would be to ship the machine with a quality blade. The blade supplied was so poor that I had to wait until I got a good blade to finally set up the machine properly. I've been wanting a band saw for quite a long time and just couldn't justify one, mostly because of space issues. But I finally got a project that justified it. So far I'm very happy. It was delivered in a very short time frame, and arrived in perfect condition. Unpacking was pretty uneventful, but I did have to rent an engine hoist to get it off of the pallets and onto the mobile base. I planned to take a picture of that process, but I forgot. This thing is super heavy, and there's just no place to get a hold of it no matter how many friends you have. Set up was pretty good and straight forward. I put a 3/4" resaw blade on it, and everything seemed to track really well. I made a single point resaw jig and went to work resawing 8/4 Cherry about 9" wide. Since this is my first bandsaw, I don't have any other bandsaws to compare with, but I don't think I could hope for better results. High Points: Seems to be very well made and generally well thought out. I don't have a dust collection splitter, so I just hooked my collector up to the upper port. After resawing about 16' of the 9" cherry, there was barely a speck of dust in the lower part of the saw. Just having a good collector on the upper port really seemed to do a terrific job. The cast iron table is really nice and a good size. I like the quick release tension bar. That's pretty great. At first I thought the ratcheting gear table pivot handle on the trunnion was just a gimmick, but I really like it. It's pretty easy to make small adjustments with it that would be more difficult if you had to move the table by hand. Low Points: It's generally well thought out, but I can imagine the roller guides and the whole guide setup to be a better system. You have to work a number of set screws, some of which are a little hard to get to and turn. And a general pet peeve of mine, is screw heads on indicators. Why aren't they hex heads? It's so hard to use a phillips on these stupid things and make them work properly. One of my first tasks (other than cutting) was to put a couple of holders on the back of the saw to hold the hex keys and miter gauge. It's always nice to have on board storage when you can. I'm glad I sprung for the 17" instead of a 14". The extra size and power are great. I made the mistake of buying a 6" jointer when I really wished I had an 8". If I had it to do over, I'd probably get a brake. You never know when something will go wrong (and something always goes wrong!) and you'd really like that thing to stop spinning faster than it's going to on its own. I bought this band saw to replace a ryobi so the bar was pretty low to begin. 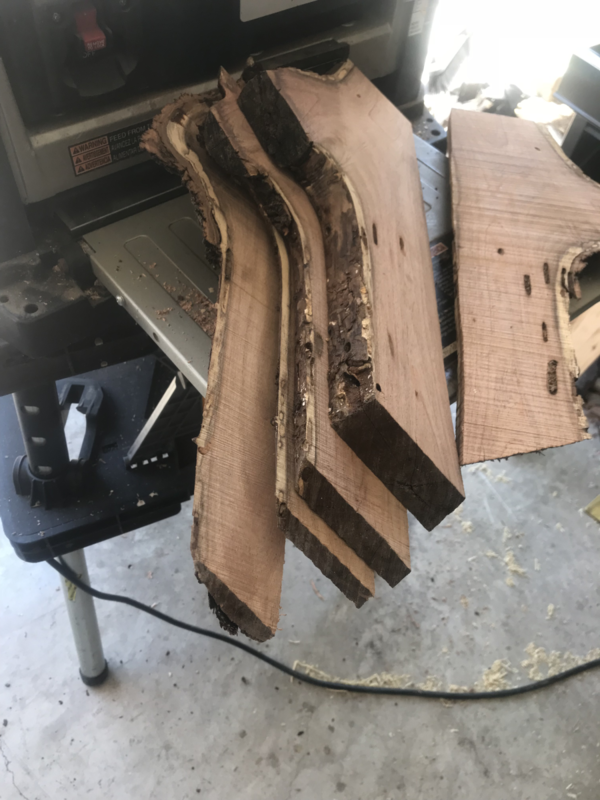 I got some recommendations from friends and did a lot of research on Band saws. I did not buy the saw my friends recommended but when this saw came in and they checked it out they would have rather purchased it than what they had. For the money I found this to be the best for the price and then some. Its quiet and for my purposes I like the size of the table. I did have to buy a 1/4 blade to make the cuts I needed. Grizzly offered a good price for that blade. I dont have any complaints. Ive been using this saw for about 1 month so far. 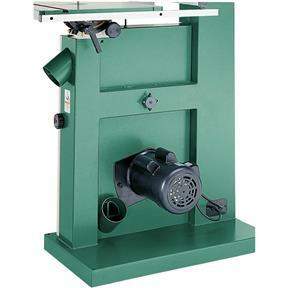 This saw has alot of nice features only found on more expenive saws. The quick release works better than most. Set up is fairly easy too. I ended up ordering another through Amazon because dealing with Grizzly's shipping carrier would've been too much work. This saw is great! I have been cutting blanks without an issue. Better then expected and I expected a lot. Upgraded From a typical 14" bandsaw. This bandsaw is heavy duty and ready to go to work right out of the crate. Nice machine and worth the investment. What a great product you manufacture. First real grizzly tool I have purchased. There will be many more purchases in the near future! Had it a month no complaints with a few minor adjustments it was up and running in an hour very nice saw. I unboxed it and did a quick job of setting it up. It is super smooth. I had a hard time deciding between the models. I knew I wanted the welded steel frame for the rigidity. I love the paint on the anniversary edition but needed the rip fence and preferred the cast iron trunnion. This saw gives you the rip fence, cast iron trunnion, cast iron wheels and larger table for only a couple hundred more dollars. I wasn't sure about needing the brake, but after use, I don't think I made a bad decision in passing on the brake. For my use, I walk away from the saw when done so have no need to quickly stop it. The table is huge and gorgeous. The saw is very heavy and well built. I can set a nickel on it edgeways and start the machine up, cut a 1x4 and then shut it down and the nickel doesn't fall over. Simply awesome! The only issue that I have found is that I dislike the plastic roller handles. For no more pressure than will be exherted on them, it is fine. It's just weird to have such a sturdy piece of machinery with plastic handles. The machine is rated for a 1inch blade. After installing the blade and going through many hours of adjustment, the blade would wobble from side to side. I called Timber Wolf to ask their opinion. It appears that this machine is not capable of producing the proper tension needed for this size blade. I haven't had time to operate the saw yet. It looks great. The delivery was one of the most frustrating experiences I have ever had. UPS freight scheduled delivery on four different days and didn't show up. One of them was the Saturday of Memorial Day weekend. They were extremely difficult to deal with and kept promising to call me back for updates and then they wouldn't call. I engaged your shipping department and they didn't provide much help. After it was finally delivered on the fifth day, I inquired about getting some kind of refund on the delivery after such a frustrating experience and the Grizzly rep told me that they couldn't do anything. Really unsatisfying experience and I was disappointed with the response from both companies. Not sure I can recommend Grizzly to anyone based on this experience. Very pleased with my purchase!!!!! Easy to assemble and set up!!!!! Works great for my use doing upholstery work!!!! This bandsaw is awesome. Nice fence, great resaw and runs true. No complaints after a couple months use. I debated between this and the Laguna 14/12 and I am extremely happy with my choice. I'll continue to save for more Grizzly tool upgrades! i bought this primarily for resawing and so far that's all i have done with it and no problems with a 1" blade it slices through 12" maple with no hesitation exactly what i was hoping for. Fit and finish are good , this is my first grizzly tool and the overseas production concerned me but not now in fact i will order their 20" thickness planer now. I've researched band saws in this size for a while before buying my Grizzly G0513X2. For the money you can not beat this deal. It has a lot more upgraded features on this saw than any other out there with similar features. The only issue, if you could call it an issue, was the fact that the packaging was damaged upon delivery. Now I do not think this is the fault of Grizzly themselves as much as it was the carrier's fault. The band saw is very heavy and was sent is an oak crate which could have been built a little better. The crate was the part damaged upon delivery. When I finally unpacked the saw I noticed the blade was bent, probably happened during the shipping process. Also there was some scratches in the paint from shipping. I contacted Grizzly about the order (NOTE: If you received your product damaged, MAKE SURE to write on the packing receipt that it was damaged. It will make the process of getting things fixed much easier) and told them about the damage during shipping. They immediately sent me the parts I needed with no problems, I repeat, no problems at all. I've never experienced anything like that, normally you have to jump through hoops talking to several different people and end up frustrated and disappointed. This was not the case, Grizzly had my parts shipped out ASAP and asked if there was anything else they could do for me. WOW! My hat off to their customer service department. As far as the saw itself, what a nice piece of machinery. Yes there are other machines out there that may have more features and upgrades but you will pay out the nose for those machines. 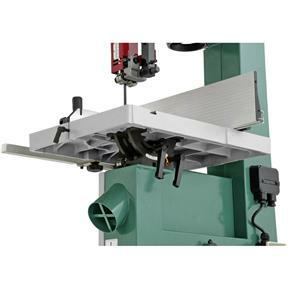 If you need a top quality machine for your woodworking shop, then this is it. 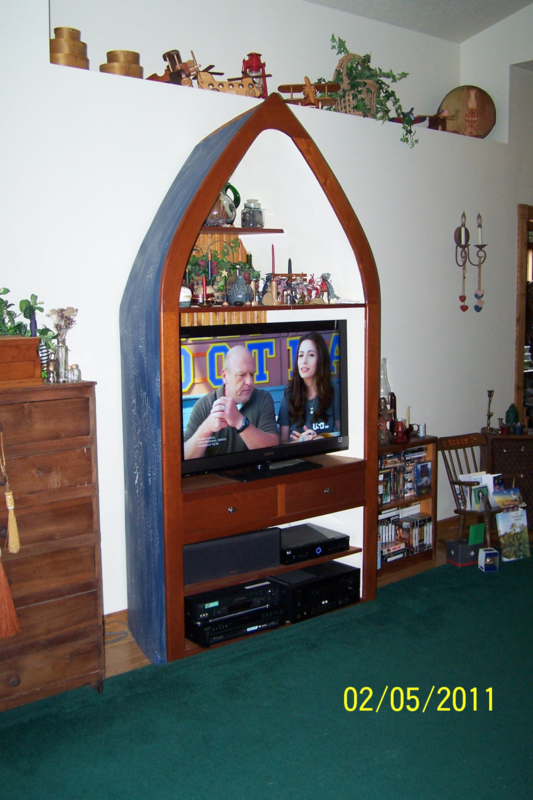 I'm a woodworking hobbyist and enjoy making furniture in my shop. 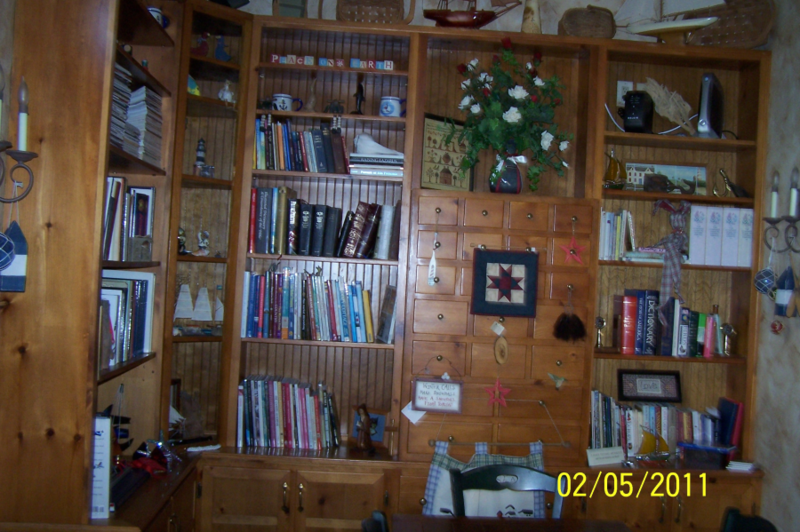 I can even resaw the oak, ash, maple, cherry, and other trees I have on my property to use for my wood working projects. The reason I bought this saw was for the quality, price, features, upgrades, etc. Also, my grandfather, rest his sole, was the one who got me into woodworking when I was young. I ended up in the Law Enforcement field and am getting ready to retire and enjoy my woodworking. Grandpa had purchased several Grizzly products back in the 1980's (tablesaw, shaper, planer, and jointer) which I now own and continue to use. They are still in great shape and continue to help me turn out furniture. 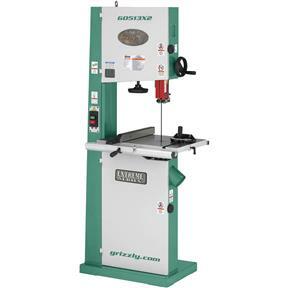 If you are looking for a great band saw to put in your wood shop, look no further. Thanks for the great customer service and products Grizzly! Easy setup, took about an hour to get fully setup and aligned. Cuts smooth and true. I'm so glad I have one of these now instead of having run to the neighbors every time. Never had a true bandsaw until I received this one. What a wonderful machine. Very consistent results, fun to use a bandsaw again!!!! Absolutely perfect customer service. Fastest shipping ever. Easiest purchase ever! We have limited space in our shop we thought a while before we decided on a 17" bandsaw instead of a 14. We have never regretted it a minute. Powerful, accurate and a good value we are happy we decided on a Grizzly. We looked at them all. Shipping delivery went smooth and it was well packed and protected.No dents and the machine looks great. We have a lot of the older grizzly machines and found them to hold up and last. We will expect the new Bandsaw to do the same. Thanks. This saw is not bad, but it could and should be much better. The ruler on the fence scale is useless when use the resaw fence. It amazes me that more thought was not put into this. I've owned several Grizzly tools. My first purchase was the GO555 and the riser block. It was underpowered for resawing so I sold it on Craig's List to the first guy who came to look at it due to its excellent condition. This saw has the bells and whistles to be pushed a bit harder than the GO555. So far ( about 2 months ) I'm very pleased with the performance..
That said...I'm concerned about the table. It appears to be of a lower grade metal and is showing signs of wear, such as scratches in the finish and that is just from hard woods? And the paint on it was chipping off? I bought this saw to be my last saw due to my previous machine. Grizzly service is always helpful and the delivery was uneventful. Will probably post an update at a later time. hey it's on-sale now. LOL! Having enjoyed my Grizzly table saw for a couple of years, I decided to purchase the 17 inch bandsaw with iron fence and trunnion. Overall fit and finish is very good. Very little adjustment was necessary during setup. I am puzzled by the design for the tilt levers, however, as it appears impossible to fully tilt the table without removing one of them (lock or tilting lever). Since 99 percent of my cuts will be at a right angle, I'm not concerned. I do believe that grizzly should consider more robust crating. In a several thousand miles journey from Taiwan, the unit is inevitably handled many times. It arrived with a broken knob for the upper door and some scratches. Grizzly has outstanding customer service, though, and the issue was promptly resolved. I think that the added cost of better crating will be offset by increased sales directly proportional to higher customer satisfaction. Net result would be flat final cost to the customer and increased revenue for the company. I look at this stuff all the time since I'm in manufacturing. What can I say, it is a excellent saw with a excellent price what more could you want? Bought this a few months ago and by this point I have some experience using the saw. First of all, this was my 1st bandsaw. I did research before purchasing and this model seems to be highly rated across the various forums I looked at. Also, I wanted to &quot;buy once, cry once.&quot; It seemed that some people get a 14&quot; saw and then find it too small and/or underpowered for resaw work. So I decided to go with the bigger 17&quot; saw. And the difference in cost was minimal. I wanted the 2HP power and luckily already had an existing 240V circuit I could utilize. I opted for a saw w/ cast iron wheels &amp; trunnions but decided I didn&#39;t need the brake. I&#39;m not running a production shop, so the extra time for the blade to spin down doesn&#39;t bother me. I also ordered a mobile base from another vendor. I was able to get the saw on the base by myself - but it required some colorful language, creativity, and a blood sacrifice. The saw is heavy. Get some help with it. Assembly instructions are well written and include pictures. I cleaned the packing grease off the table using WD40. Easy. Per advice from others, I immediately replaced the factory blade with a TimberWolf blade. I setup the saw after reviewing the Alex Snodgrass bandsaw setup video on Youtube. Well worth the 15 minutes. It was nice to see that the Grizzly instructions and the Snodgrass setup are consistent and complement each other. Note the saw includes a power cable but not a plug. You will need to pickup a plug at your local hardware store to match the receptacle in your shop. The saw runs very quietly and cuts easily. The fence is solid and easily re-positioned. I can&#39;t really compare this thing to another bandsaw as I have never even used another one. But the overall fit, finish, and feel of the unit exudes quality. Grizzly customer service was great too. I had some delivery questions about lift gate service and my gravel driveway. Unfortunately, it took several phone calls and emails to communicate and coordinate with the 3rd party freight company. The Grizzly people were polite and helpful throughout the process to make sure everything worked. 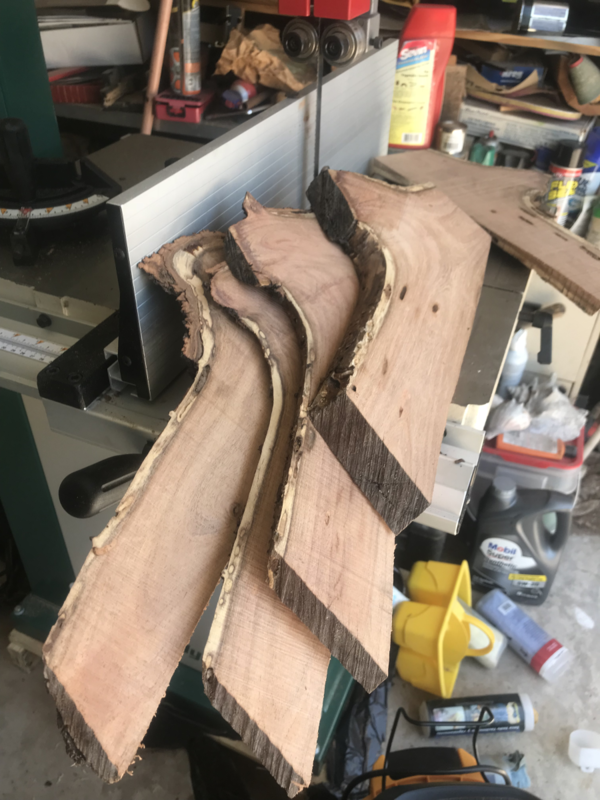 I have never owned or even recall using a bansaw, however the several times that I have used the bandsaw since receiving it I am extremely satisfied with its performance and its a very good product to help complete my wood working shop. I also found it very easy to set up, mostly due to yours and others utube that I have watched and listened too,very helpful. 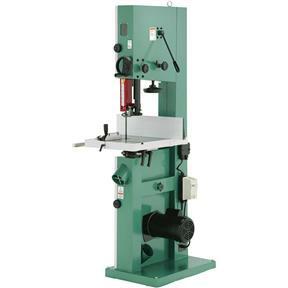 This bandsaw is a very impressive piece of equipment, especially for the price. I bought my bandsaw a month ago and I wish I had bought it sooner. The saw has exceeded my expectations and was very easy to assemble. Beautiful to look at. Powerful and smooth. Easy to operate and quiet when running. Makes quick work of most cuts. Would definitely recommend. I really like this saw, it is very accurate &amp; easy to use. The design of the rip fence could be better to attach the high fence is a little hard, and the hinges should be moved back to make the changing of the blade easier and not have to open the cover doors completely. These are not complaints, but suggestions which would make this fine saw even better. Other reviews have explained the quality of this saw. Note that it's packing height is such that it will not clear a 7 ft. garage door. Fortunately, the lift gate service person was nice enough to help .